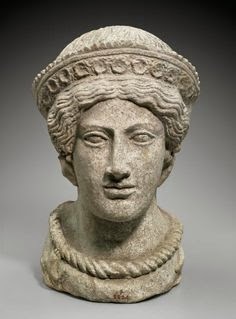 Carna is a very complex Divine Energy playing however a critical role in the contemporary cults of Traditional Roman Spirituality . Carna, a feminine divine force, represents the sacralization of the integrity and purity of the human body, its womb and the assimilation of food: these symbolic material/immaterial elements are strictly interconnected. It is important to highlight that the essential key-element to get in contact with Gods and Goddesses is purity, rather than faith, of both in the body and in spirit (chastity) in a very wide and deep sense. Ritually pure man and woman, who live the everyday life in a sacred manner avoiding anything impure, are in harmony with themselves, with nature, with Gods and Goddesses. All forms of impurities (in a material and immaterial sense) render man and woman hateful to the Divine dimension, contaminated and not in harmony with Nature. As regards the physical sphere, an intact body (in sacred and not profane sense) is a pure body. Every organ in the human body is sacred to a specific divine power, but its integrity is sacred to Carna: nothing must exit prematurely from the body. It is important to remember that the human body symbolizes the society as a whole, also emboding, in the dimension of the microcosm, the logic order of the macrocosm. The disintegration of the body, the leakage of organs or abnormal secretions, are the representation of social deviance and the disharmony of the cosmos. The ancient statues should be "read" also in this perspective. The physical (male and female) body is an essential tool to think in symbolic and sacral terms: the "social body", as well as the "astral bodies" are symbolically represented through the human body. Carna therefore symbolizes the sacralization of the respect that everyone must have for his/her own body. All those "impure" actions who deliberately deteriorate the body (mutilation, self-injury, corporal punishment carried on themselves) are therfore examples of profanations. Carna in particular sacralized the integrity of the child's body as not yet defined material and symbolic universe. Carna symbolically accompanies the child's body to its final definition in the body of an adult. In this perspective, Carna therefore plays a critical role because man and woman are bodies, but at the same time, they have bodies. 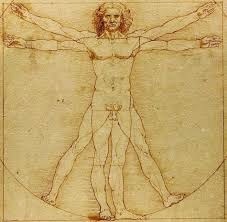 The body is a subject and an object being the individual foundation for the perception of himself/herself. The body is a harmonious structure bounded by fragile, weak and insicure borders where microcosm, macrocosm and society are simultaneously represented. This means that Carna sacralized the image of a living primary harmonious structure defined by its external profile, the skin. These margins and all orifices are critical zones because they are areas of contact with the outside world where what should not come out, could get out and where impurities could get in; disharmony could occur breaking the physical and symbolic coherence of the body. For this reason Carna sacralized the most important phase of the physical contact the body has with the outside world: Food and Food assimilation. One should not eat randomly: eating is a sacred rite, essential to keep intact body and defend it from impurities and contamination. Another critical aspect of the cult of Carna is the relationship with the blood. The blood circulating in the body is pure, the blood protruding from the body is potentially impure. This is why war is and remains an impure act: the soldiers returning from military campaigns had to be purified because blood had been shed: crossing the arch was then a rite of purification and re-establishment of a cosmic order. Similarly death, which disrupts the bodies, leads to forms of impurities. Also in this case the definition of a period of time of purification and specific rituals involve the restoration of that cosmic order that a family involved by the death had lost. The case of bloodshed that was once involved in the sacrifices is rather different. These rituals implied the consumption of meat of the sacrificed animals (which were previously im-molated thus placed outside the ordinary dimension of existence): the word Macte - "grow", expressed during the sacrifice, stressed precisely the relationship between the killing, the disintegration of the body, death, food intake, food assimilation and the continuation of life. It is a sacredly controlled bloodshed. We have the same as modern Cultores and Cultrices: we normally eat meat or (never forget it) the (even if profane) result of a technically controlled bloodshed. The war on the contrary involves an uncontrolled bloodshed: for this reason rites of purification were therefore necessary. What comes out of the body and dissipates from the body is a violation of the sanctity of Carna. An uncontrolled interaction occurs between an "inside world" and an "outside world". There is a violation of a physic and metaphysic boundary (the skin), between two realities that must remain separate which have entered into crisis. In this issue you can see the strong bond existing between Carna and Janus. The purification rites required by the cult of Carna therefore are related to water. Water dissolves and washes what is spilled untidily from the body, the skin and the body return to their cleaning, water clarifies the boundary line of the body. As Carna represents purity and physical integrity of the body, the same representation is transmitted to the spiritual condition also involving sincerity, clarity and concentration of the mind, the interior cleanliness and tidiness, simple and uncorrupted materials, to clear, basic and elementary colors. Respecting our own body then implies a respect for all that is simple and natural, original, harmonious and pure in form, the purity of the experience of touch. In all this lies the deeper meaning of the cult of Carna. Carna è una divinità molto complessa che svolge tuttavia un ruolo molto importante nel culto contemporaneo della Spiritualità Tradizionale Romana. Carna, forza divina femminile, rappresenta la sacralizzazione dell'integrità e della purezza del corpo umano, delle sue viscere e dell'assimilazione del cibo: si tratta di elementi simbolici materiali/immateriali tutti interconnessi fra loro. Bisogna premettere che non la fede, ma la purezza, sia del corpo che dello spirito (castità) in un senso molto ampio e profondo, è un elemento indispensabile per entrare in contatto con gli Dei e le Dee. 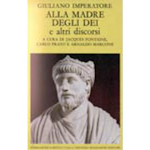 L'uomo e la donna ritualmente puri, che vivono la quotidianità in modo sacro ed evitano tutto ciò che è impuro sono in armonia con loro stessi, con la Natura, con gli Dei e con le Dee. Tutte le forme di impurità (in senso materiale ed immateriale) rendono l'uomo e la donna odiosi alla dimensione Divina, contaminati e non in armonia con la Natura. Per quanto riguarda la dimensione fisica, un corpo integro (in senso sacro e non profano) è un corpo puro. Ogni organo del corpo umano è sacro ad una specifica forza divina, ma la sua integrità è sacra a Carna: nulla deve uscire in modo anomalo dal corpo. E' importante ricordare che il corpo umano simboleggia la società ed inoltre riproduce nella dimensione del microcosmo, le logiche del macrocosmo. La disgregazione del corpo, la fuoriuscita di organi o secrezioni anomale, costiuiscono la rappresentazione della devianza sociale e della disarmonia del cosmo. Anche in questo senso devono essere lette le rappresentazioni statuarie antiche. Il corpo fisico (sia quello machile che femminile) è uno strumento essenziale per pensare in termini simbolici e sacrali e su di esso si rappresentano il "corpo sociale", così come i "corpi astrali". Sacralizzare Carna significa quindi sacralizzare il rispetto che ognuno deve avere per il proprio corpo. sono pertanto profanazioni tutte quelle azioni "impure" che deliberatamente deteriorano il corpo, le mutilazioni, l'autolesionismo, le punizioni corporali compiute su sè stessi. Carna in particolare sacralizza l'integrità del corpo del bambino in quanto universo materiale e simbolico non ancora definito. Carna accompagna simbolicamente il corpo del bambino verso la sua definizione definitiva in corpo di adulto. Carna è quindi un fattore critico in tutto questo perchè l'uomo e la donna sono corpi, ma, nello stesso tempo, hanno dei corpi. Il corpo è soggetto ed oggetto ed è la base che ognuno di noi ha per la percezione di sè stesso. Il corpo è una struttura armoniosa delimitata da confini precari in cui si incontrano microcosmo, macrocosmo e società. Questo significa che Carna sacralizza l'immagine di una struttura vivente primaria, armoniosa e definita dal suo profilo esterno, la pelle. Questi margini e tutti gli orifizi sono zone critiche perchè sono zone di contatto con l'esterno da cui potrebbe uscire ciò che non dovrebbe uscire ed entrare le impurità; si può creare disarmonia e spezzare la coerenza dell'ordine fisico e simbolico del corpo. Per questa ragione Carna sacralizza la fase più importante di contatto che il fisico ha con l'esterno, ovvero l'alimentazione e l'assimilazione del cibo.Mangiare quindi non deve essere un atto casuale, ma è un rito sacro essenziale per mantenere integro il corpo e difenderlo dalle impurità e dalle contaminazioni. Un altro aspetto critico del culto di Carna è il rapporto con il sangue. Il sangue che circola nel corpo è puro, quello che fuoriesce dal corpo è potenzialmente impuro. Per questo motivo la guerra è e rimane un atto impuro: i soldati che rientravano dalle campagne militari dovevano essere purificati perchè del sangue era stato sparso: l'attraversamento dell'arco era quindi un rito di purificazione e di ristabilimento di un ordine cosmico. Allo stesso modo la morte, che disgrega i corpi, conduce a forme di impurità. Anche in questo caso la definizione di un periodo di tempo di purificazione e di specifici riti implicano il ristabilimento di quell'ordine cosmico che una famiglia colpita dal lutto aveva perduto. Diverso è il caso di spargimento di sangue che anticamente era previsto nei sacrifici. Questi riti prevedevano il consumo delle carni degli animali sacrificati (che prima venivano immolati ovvero collocati al di fuori della dimensione ordinaria dell'esistenza): il grido macte - "accresciti" durante il sacrificio sottolineava proprio il rapporto fra l'uccisione, la disgregazione del corpo, la morte, l'assunzione del cibo, l'assimilazione del cibo e la prosecuzione della vita. Si tratta di uno spargimento sacralmente controllato di sangue. Lo stesso avviene anche per noi Cultores e Cultrices moderni: mangiamo la carne ovvero (non dimentichiamolo mai) il risultato di uno spargimento tecnicamente controllato di sangue. La guerra invece prevede lo spargimento incontrollato di sangue: per questo è necessario un rito di purificazione. Ciò che fuoriesce dal corpo e si disperde dal corpo è una violazione della sacralità di Carna. si verifica un'interazione incontrollata fra un dentro ed un fuori. C'è una violazione di una linea di confine fisica e metafisica (la pelle) fra due realtà che devono rimanere distinte e che invece entrano in crisi. In questo aspetto si può notare il forte legame che esiste fra Carna e Giano. I riti di purificazione previsti dal culto di Carna pertanto sono legati all'acqua. L'acqua dissolve e lava ciò che è fuoriuscito disordinatamente dal corpo, riporta la pelle ed il corpo alla sua pulizia, chiarisce la linea di confine del corpo. Così come Carna rappresenta la purezza e l'integrità fisica del corpo, essa si trasmette alla condizione spirituale legandosi anche alla sincerità, alla limpidezza e concentrazione della mente, alla pulizia e all'ordine interiore, ai materiali semplici ed incorrotti, ai colori nitidi ed elementari. Il rispetto per il proprio corpo si lega quindi al rispetto per tutto ciò che è semplice e naturale, originario, armonico e puro nelle forme, nella purezza dell'esperienza tattile. In tutto questo si cela il senso più profondo del culto di Carna. Spesso mi capita di fare lunghe camminate solitarie lungo le strade di campagna. Lo faccio sia per il corpo che per lo spirito: è insomma una forma di esercizio fisico e spirituale allo stesso tempo. Quando faccio queste lunghe passeggiate da solo, ritrovo dentro di me il mio più autentico ed intimo spirito "pagano" (come direbbero i profani). In pratica abbandono tutte le teorie, le sottili disquisizioni più o meno teologiche, le regole delle pratiche rituali e tutto il bagaglio di nozioni e saperi che sono riuscito a mettere insieme in tutti questi anni di studio. Insomma camminando in campagna ritrovo lo spirito più autentico e più vero del cosiddetto "paganesimo". Devo dire che questa esperienza totalmente empirica di "spiritualità tradizionale" (nel mio caso la Via Romana) non è comunque un'impresa facile. Non basta mettersi a camminare lungo una strada di campagna. Ma se riusciamo a calmare la mente, a rallentare i pensieri, a riordinare la scala di priorità della nostra esistenza, allora non è possibile rimanere indifferenti alla bellezza della natura, ai suoi colori, ai suoi profumi, al conto degli uccelli, allo stormire delle foglie degli alberi. Il passo rallenta, il respiro stesso diventa più tranquillo e si ha come un sussulto di fronte alla grandezza e alla semplicità di tutto questo. In questo momento si ha allora la dimostrazione che si possiede un animo "pagano" e gli Dei e le Dee diventano (non in senso profano) "visibili", "percepibili". Insomma si arriva ad avvicinarsi agli Dei e le Dee per un'altra strada, per esperienza diretta, senza tante elucubrazioni, senza riti, senza teorie, senza regole: semplicemente perchè sono loro che ci vengono incontro. Tutta l'erudizione acquisita viene messa da parte: meno teorie, meno ragionamenti, sapere o non sapere non fa molta differenza. Molte persone tendono a screditare tutto questo perchè ritengono queste sensazioni, questi approcci alla vita come infantili o ridicole. I monoteisti poi le considerano poi solo sciocchezze. Il Cultor e la Cultrix non vanno in una chiesa, in una moschea o in una sinagoga a pregare: il Tempio tradizionale non ha questo scopo. Ho già detto molte volte che il Cultor e la Cultrix non pregano nel senso profano del termine. Inoltre è nel mondo esterno che si svolgono le liturgie ed i riti che il più delle volte svolgiamo senza nemmeno rendercene conto. Mangiare un pasto frugale con gli amici o con la propria famiglia in serenità è già una forma di rito. La nostra chiesa è il mondo. Quando di fronte ad un bosco abbiamo questa percezione del divino, ci troviamo a percepire qualcosa che è tutt'altro che irreale: è la riscoperta di un legame profondo con delle importanti espressioni dell'esistenza nelle quali lo spirito "pagano" ritrova un luogo di appartenenza. Abbandonare la cosiddetta "realtà complessa", con la sua tecnologia e la sua velocità, ed accontentarsi di questo "mondo" è tuttavia un'operazione molto difficile: non c'è nulla di semplice nel rivolgere lo sguardo ad un qualcosa che oggi molti etichettano semplicemente come "passato". In questo luogo di appartenenza non facciamo altro che cercare di trovare conforto perchè se una Via non fa questo, ma genera tensione, agitazione, violenza, intolleranza e fanatismo, a cosa può servire? Insomma in questa epoca di conflitti e di caos, intraprendiamo quella Via che ci aiuta a costruire degli spazi di quiete e a spingerci con i pensieri, anche camminando lungo una semplice strada di campagna, in luoghi dove il corpo e la mente possano ritrovare la pace e la freschezza. Ianus' female polarities are Cardea, Iuturna and Diana. 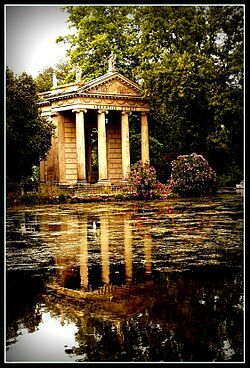 Therefore, not acidentaly this month, placed out of the King Numa' s sacred calendar (together with February), is situated at the beginnings of the year: this period is thus highly permeated by the Divine Energy of Janus. Janus is an extremely complex Divine Force having, being the sacralization of the beginnings, very difficult hermetic and iniziatic implications. In this post I can't discuss these aspects but I hope to have the opportunity to analyze them in a more specific occasion very soon. "Janus represents, among other, the sacralization of the "passage" in terms of space, time and initiation (the vessel). Related to Time, Janus is the sacralization of the moments of passage or "phase change" during natural cycles, in the human life, etc. 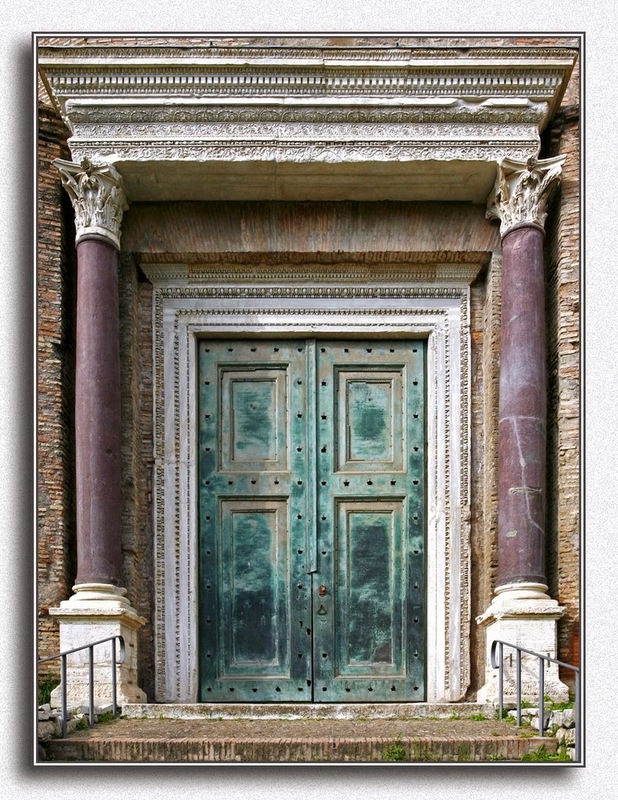 Related to Space, the doors, the gates and all the sites materializing a passage have a sacred energy embodied in Janus. Like the time passages, the spatial passages represent a phase modification, a fracture and a discontinuity: the door, for example, divides and put in contact two spaces having different identities. In particular the door of the Temple (both architectural and natural) is a break-point between an "in" and an "out". Passing through a door is a changing of status: this is particular relevant for a sacred place like a Temple but it is the same also for the house door. 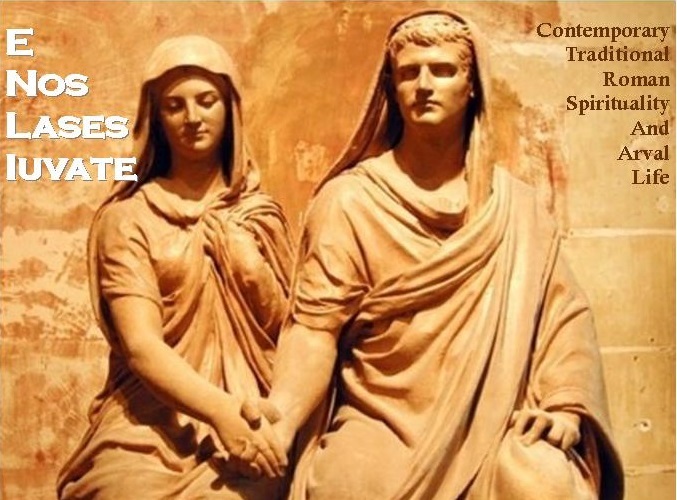 Therefore "passing through the door" is always a "dramatic" moment (in sacred sense): above all the passage through the "narrow gate" (observe the etruscan tombs or the ctonic sactuaries - palingenesis) and the bridges (structures unifying what Nature divided)." All the traditional invocations for any kind of Deity should begin firstly invoking or citing Janus (while Vesta is usually cited or invoked in the final part of the invocation). Every beginning is therefore sacred to Janus: for this reason I here include the Versus Ianuli to be used for this scope. Intanto posso riprotare alcune considerazioni che ho già fatto su Giano quando ho sommariamente trattato del valore simbolico dell'Arco. Tutte le invocazioni tradizionali di qualsiasi divinità dovrebbero inziare invocando o citando per primo Giano (mentre Vesta viene tradizionalmente citata ed invocata per ultima). Ogni inzio è quindi sacro a Giano: per tale ragione inserisco di seguito il Versus Ianuli da utilizzare per questo scopo.